"Our equipment is vital for operations and highly valuable so we chose Selectamark’s most durable label option"
IT equipment theft is a major issue for business owners, with research showing that up to 84% of businesses has suffered a laptop theft. Few people or companies realise the inconvenience that the loss or theft of office equipment can cause until it happens. The loss of computer equipment is not just the value of the item but the loss of information and data. Companies take care to protect their premises at night but often do not adequately protect their equipment during working hours. The permanent visible marking of your business equipment is simple, low cost and can be done in a few minutes. 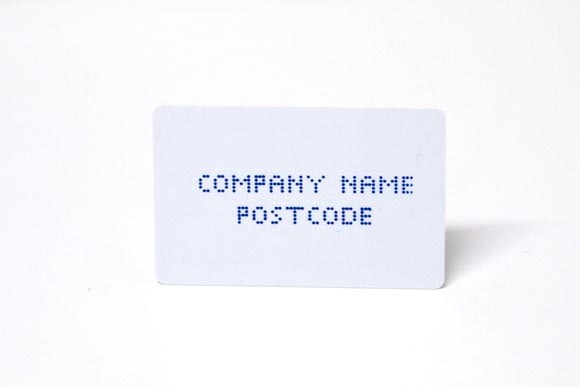 The marking can include asset numbers as well as company details. The whole system is designed as a deterrent – warning stickers, window stickers and the visible marks. For a very small cost, you can permanently mark office equipment using Selectamark stencils whether you have 20 or 20,000 items to mark. Our Supermark Classic label, which combines a visible etching mark with a tamper resistant label is ideal for small offices (minimum order 20 labels), while larger companies may benefit from Supermark Custom labels which can be designed with printed logos and barcodes (minimum order 500 labels).